Tell us about your journey into Marketing and Sales Technology. How did you arrive at Instapage? I started my sales career selling print advertising for The Onion in San Francisco from 2005-2008. In 2009, I joined Involver as just the tenth employee and cut my SaaS technology sales teeth there. I started as an SDR, then moved into an Account Executive role and finally managed a small Inside Sales team before Involver was acquired by Oracle. From there, I moved into the mobile app analytics and the user-acquisition space from 2012 to 2017, working at a few different startups in both individual contributor and management roles. In 2017, a former colleague of mine reached out about an opportunity at Instapage that sounded exciting. Instapage was a well-established brand with a strong product-market fit and looking to accelerate revenue by moving away from being a platform for small businesses and heading upmarket, focusing on enterprise customers. I would have the opportunity to build an Enterprise Sales team from the ground-up but without the risk of joining a small, young company that has minimal stability. I joined in March 2017 in a player/coach capacity as the first sales hire at Instapage. Two years later, our team is 15-people strong. We’ve closed over 400 enterprise customers and have exceeded even the most aggressive revenue targets that we initially forecasted. Best of all, we’re just getting started! What is Instapage for an Inside Sales team and how do you differentiate it from other personalization and lead conversion platforms? Instapage presents an opportunity for Inside Sales and sales development teams to build a healthy pipeline of inbound leads as well as nurture colder leads into warm prospects. By personalizing the landing page experience, every touch you have with a prospect is tailored to meet their expectations and needs. When prospects feel heard, they respond and are more open to learning more. This creates a solid foundation on which you can build a relationship and introduce your value. Our Sales team has a culture of collaborative competitiveness. We don’t have any lone sharks here, everyone is always sharing new learnings and feedback and genuinely wants to help each other succeed. However, we’re in Sales because we love to win (and make money) and everyone on the team scrapes and grinds to make sure they’re at the top of the leaderboard at the end of the month. How do you achieve this culture balance at Instapage? What percentage of this is driven by the application of technology, reporting tools, and coaching? All three are employed in our approach to driving sales culture at Instapage. 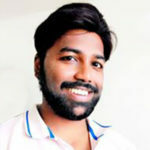 We are a SaaS company after all, so technology plays a big role in making the team more efficient. Lead scoring, chatbots, automating outreach, and Sales Ops all bring insights more efficiently than we could do on our own. But, you can’t be a successful manager if you don’t take time for hands-on coaching and working directly with your team. A great illustration of all three of these approaches used in unison is with software called Gong, which records our sales calls. We use this to identify strategies used in the most successful calls and areas of improvement in others. This provides the team with direct feedback and opportunities for coaching. Tell us how you achieve Marketing-Sales alignment. How does it impact your targets? The sales team and demand gen team work very closely. The flow of MQLs to SQLs and SALs is a crucial piece of our pipeline. Not only do we rely on a large portion of our leads coming from marketing campaigns and upgrading inbound customers, but sifting through the sheer number of leads is made easier by working side-by-side with marketing to score and qualify those leads. This allows us to target customers who are more likely to purchase, identify inefficiencies in our process, and find our ideal personas. Our team can then reach out to the right prospects faster. Aligning our messaging is also critical so that what we’re telling prospects on demos and sales calls is consistent with what marketing is promoting. Your message needs to be consistent from the very first interaction all the way through to closing a deal and into the customer relationship building. If there’s a disconnect between what marketing promises and what you’re selling, it’s harder to build trust with prospects. Tell us about your product strategy and your vision into building high-performance data-driven teams. We track everything and keep a close eye on many metrics outside of our key KPIs of closed revenue and pipeline created. We strive to identify any trends, within our market or from within our team, as early as they begin to develop so we can be agile with our sales process and priorities. At the same time, with so many data sources and reports available, it can be easy to get sucked into the data and I want to make sure I’m not spending my whole day in Salesforce and getting paralysis by analysis. We brought in a Sales Operations Manager a few months ago who surfaces the most important insights to me, so I can focus on helping my team win deals and can take action on the most relevant insights as that data comes in. I highly recommend bringing in Sales Ops sooner than later, as having a dedicated resource to keeping our team data-driven has been extremely valuable. How different is Customer Success for Marketing and Sales Technology products compared to other technologies, for instance, IT SaaS and Cloud? Dealing with IT SaaS and Cloud technology providers requires a strong background in technology and the specifics of these industries. This includes a decent understanding of system infrastructure and a background working with developers and engineers. With marketing and sales, Customer Success isn’t as heavy in technology knowledge and more focused on use-case, best practices, and strategy. We have team members who have deep technical knowledge to help with specific cases, but we don’t require the whole team has such in-depth knowledge. Instead, our team can focus on learning marketing and advertising strategy. How do you differentiate Customer Success and Customer Service for personalization? How have these changed in the past 5 years with the arrival of automation and chatbots? The biggest thing is being proactive versus reactive. Customer Success is the proactive strategic function that ensures our customers learn and adopt the platform quickly while applying best practices right from the start. The Success team also understands that the most important thing for our customers is getting more conversions—and more sales. If we can teach them to be successful with Instapage from Day One they will get more value from the platform. This has led to more upgrade, loyal customers, and even evangelism from the most successful ones. Now, there will always be special situations that arise to cause problems and that’s where having an extremely knowledgeable and capable support team is so critical. Fortunately for us, we have a top-rated support team, according to G2 Crowd. Automation and chatbots have taken a large share of the lifting for the most common or simple issues—pointing customers to a Help Center article or providing instructions for basic problems. But, when a customer has a complex issue or a major problem, a bot can’t replace the comfort of knowing a human is listening to the problems and working on a solution. What are the core strategies you focus on for global business development? How does it impact your revenue channels? Alignment is critical for business development. We aim to partner with other technology companies who can offer value to our customers and whose customers can benefit from Instapage. We also partner with companies our customers are already using or looking to use. We want partnerships that can provide more resources and value to our customers while reinforcing our core business. When customers benefit from partnerships, they are going to realize the power of Instapage faster and continue to upgrade. How do you leverage AI and automation for sales performance at Instapage? We’re using MadKudu for lead scoring and Clearbit for data enrichment. We’re blessed with a high volume of inbound leads, but with that comes the need for a lot of qualification and filtering. Software tools come in handy with that process. We also use Intercom for a chatbot that filters out unqualified leads and only enables qualified leads to chat with our SDRs. When we were just getting started and didn’t have any SDR resources, we used a tool call Amplemarket for outbound lead-gen. Amplemarket is a bot that was surprisingly good at finding targets, running cold outreach, overcoming objections, and getting meetings booked. I actually fell for it when their bot cold-messaged me! We also use SifData to get alerted when current customers move on to new roles so our SDRs can pounce on them once the dust has settled at their new job and make sure their new company becomes Instapage customers. My favorite new tool is Gong. I really love it. Our sales calls are recorded and Gong’s AI provides insights into the best practices that our top performers are applying and identifies areas for improvement with others. I can now jump into any recorded call and easily find the most relevant parts of the conversation—discussions around pricing, competition, discovery—to provide feedback and coaching. Definitely a game-changer for our team. Which SalesTech automation tools do you use? How do they make your work easy? Our SDRs and Account Executives use Apollo for automating a lot of their outreach, to both cold outbound and inbound prospects. This enables our SDRs to automate their email and call sequences to target prospects while still giving them the ability to personalize their outreach. We are also fortunate to receive a lot of inbound inquiries and the follow-ups required by our AEs can be cumbersome, especially if the lead looks less than qualified. By putting inbound requests on automated drips, if we don’t get a quick reply from the prospect, we don’t need to worry about forgetting to set an open task to follow up with each one. This automation ensures that none of our leads slip through the cracks and that we take full advantage of the inbound leads we have flowing in. How do you see the competition from leading Inside Sales and Marketing Automation Technology providers? Where do you see the CX and Personalization landscape heading to? Instapage is a complementary solution to any Inside Sales or Marketing Automation tool your team is using. Instapage amplifies your efforts by allowing you to direct prospects to highly targeted, sophisticated landing page experiences, each tailored to the prospect. As you gather information about a prospect you can use that in your outreach and in the nurturing stages and build a relationship built in their needs, instead of generic attempts of mass appeal. Personalization is already changing the customer experience landscape and will be the next major driver of customer acquisition success. What are your predictions and observations on the “Role of Chatbots and AI Conversations” in influencing sales journeys? Bots and AI will become increasingly prevalent for Sales, but a personal touch from Account Executives will always be important to close and manage Enterprise deals. For companies that have a self-service or ‘freemium’ offering, the importance of bots in helping qualify and properly route leads is paramount, as it helps us identify and hone in on high-potential leads immediately while routing less-qualified leads on marketing nurture track. There seems to be a wave of outsourcing SDR work to bots or third parties. There is clear value in doing that and as bots become more intelligent, there will be more of the SDR-role that can be accomplished without hiring FTEs. However, for my team at Instapage, we’re looking to grow organically by promoting from within whenever we can, so I’ll never want to remove SDRs from the equation. I look at the SDR team as our minor-leagues to the AE team. I’ve had great experiences promoting SDRs into AEs (as opposed to just hiring more-experienced AEs from other companies) after they’ve put in a year of learning our product, our value proposition, and handling our user’s objections. There’s always a risk bringing a new employee into the fold so if you can train an SDR until you know they’re well-prepared to make the transition and then promote them, you can minimize that risk. We strive to identify what areas can make our team more productive and efficient with AI while considering the potential risks and downsides to removing human team members from the conversations. In terms of automated lead-qualification, we need to make sure that we have our ideal customer persona (ICP) and qualification criteria completely dialed-in so that any AI we use can properly do its job. The worst-case scenario would be us deciding to use AI in lead-qualification and then have that bot mistakenly reject potential hot opportunities. With so much new technology coming out quickly, I need to stay on top of new trends and technology to make sure I’m setting up my team for the most success possible. My top conferences are SaaStr, TOPO Sales Summit, and the Sales Development Conference. Not only do each of these events provide great learning opportunities for myself and the team, but networking. My advice is to hire for Sales Operations early. Having a dedicated resource to keep our team data-driven has been invaluable to me. This will help you stay on top of emerging trends (internal and external) and software that has the potential to change your business. Having the Sales Ops function in place enables me to spend more time coaching, recruiting, and helping my team bring revenue over the line, while still getting the most important insights and suggestions surfaced to me. Thank You, Steve, for answering all our questions. We hope to see you again, soon. Instapage is the leader in post-click-optimization™. The Instapage solution helps marketing teams increase advertising conversions through the building, personalizing, and optimizing of landing page experiences at scale. 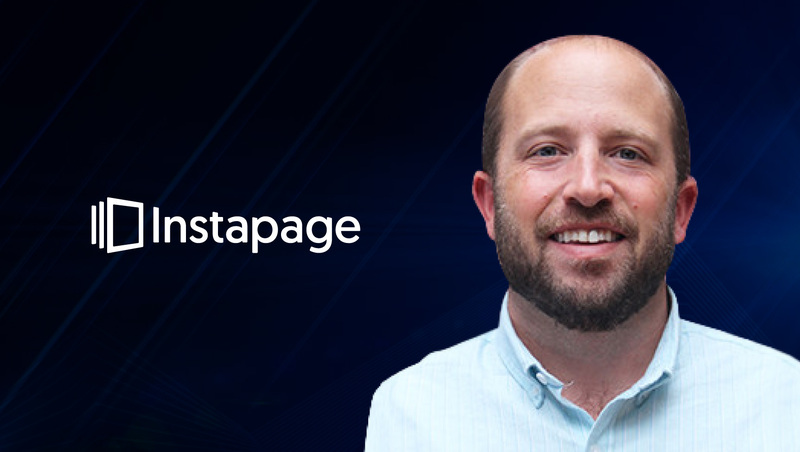 With over three million landing pages converting above 22%, Instapage is helping 15,000+ customers across 100 countries capture more value from their campaigns. A Leader in G2Crowd’s Conversion Rate Optimization, A/B Testing, and Landing Page Software grids, Instapage is ranked #1 in customer satisfaction. Steve Brancale is the VP of Sales with Instapage. An experienced Enterprise Saas Sales Executive, Steve previously served as the Director of Sales for Skillz Inc. and Yozio before joining the Instapage team in February 2017. Steve was a graduate of Boston College and resides in San Francisco, CA.